As society changes, so does the way we look at interior trends. Trend forecasts are no longer about particular colors or themes you can just grab on the go and implement in an interior project to make it trendy. But instead, they are starting to seem more like a cultural analysis, guiding us while we navigate the ever-changing landscape of our daily lives. We are dreaming up our homes in a way that best reflects our strivings and honors our goals in life, and we feel ready to leave behind the beaten paths in terms of color and interior concepts. In 2019 kids’ rooms are becoming our ultimate interior playgrounds where we feel safe exploring the color wheel and new decorating mindsets. The line has been crossed, and we are finally rejecting the norms while entering an era of freedom in design where we can embrace what holds value for our families and us personally. 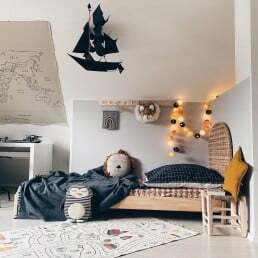 Let’s explore how this rediscovered self-awareness and creativity manifests in kids’ interior trends for 2019, enjoy the most beautiful kids’ rooms across the world, and finally, discover inspiring boy’s and girl’s mood board concepts made with SampleBoard. Let’s be open about this painful topic – family time is becoming scarce. Our daily schedules are so filled that finding time to spend with each other often becomes a struggle. 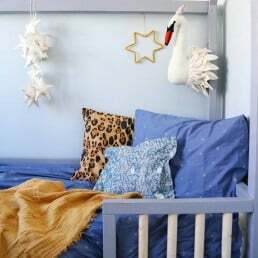 Kids’ rooms bring us together and provide the background for our future most cherished memories. This is where we find the utmost joy of unstructured playtime with our little ones and reconnect with what’s truly important – our families. 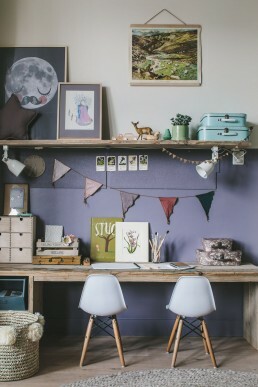 That’s why you’ve been witnessing such a buzz with everything kids’ room related in recent years. We are all building our tiny nests to nurture our youngest while looking to protect them from the outside overwhelmment we experience daily. 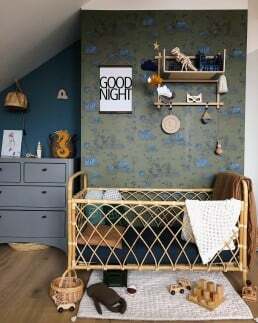 We could even go as far as saying that kids’ room decorating itself is becoming a global trend as there is such a significant rise in demand for beautifully designed kids’ room furniture and decor. 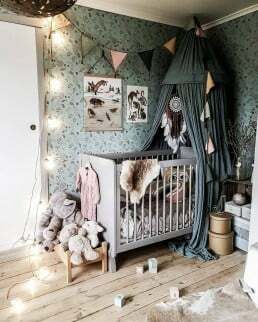 The kids’ room industry is booming and Insta mums with the most exquisitely decorated kids’ interiors are becoming highly influential when it comes to which products will be selling and which ones will fail. But despite the fact that Instagram largely influences sales, what everyone is looking for isn’t repeating what they’ve seen, but rather guidance from people whose aesthetic they admire. Being original and putting together a unique concept no one else has yet explored is the ultimate goal here, but not for others to feel in awe, but for yourself and the little ones. Yes, while children are small, parents are the ones that express themselves through these designs. To be honest – that’s how it should be as they are the ones who will need all the motivation in the world to constantly put away the toys and the clutter. If they love the concept, they will find it easier to put up with the daily cleaning as the prize will be the site of a room they cannot take their eyes off. Their nest. One in a million. So if you are working with parents to help them put together a room for their child, focus on understanding their story and identity and then turn it into a concept. 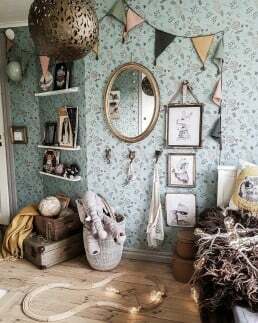 In 2019 kids’ rooms are all about marrying the past with the present. Heirloom pieces are treasured as a manifest of tradition and love that came before, and mixed with modern influences to create a modern haven for a happy childhood. These dreamy eclectic mixes of design eras emphasize vintage elements while modern pieces help them stand out without looking like museum rooms. The focus is on fine craftsmanship skills and unique designs. Even modern furniture is now featuring round edges and elaborate details. Timelessly romantic, these rooms promise that not all values of the old world are lost and that we can keep what we treasure and weave in the modern lifestyle without losing what we treasure from the past. Antique cupboards, wardrobes and beds are becoming the ground pieces of design and the most valuable focal points. We are building the rooms we once dreamed of having for ourselves, so it is only natural that we seek objects from the past that remind us of our carefree days or our favorite childhood books. 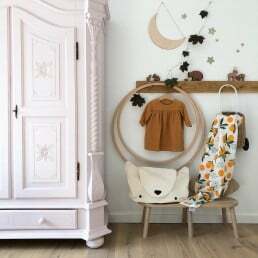 The fact that grandparents are becoming increasingly involved in the children’s upbringing is also contributing to this growing appreciation for vintage furniture and decor. 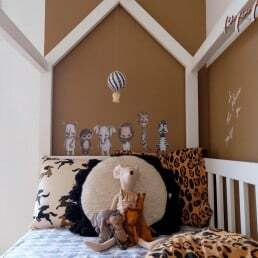 A trend of looking at the past to build for the future is not exclusive only for kid’s room design, but for home decorating in general, so we can expect to see more of it in days to come. Love of vintage and strong urge to express ourselves through our interiors has brought crafting and DIY projects to focus. All kinds of handmade toys and decorations are becoming the dearest items in the kids’ rooms. We are living the days when the crafts of the past become chic again with crochet, embroidery, watercolor, paper crafts and painting leading the way forward. Sustainability is key and there is absolutely no room for plastic in kids’ rooms anymore. Everything is made of natural materials, and if you can craft it yourself or revamp it (and you probably can) that is always a much better choice than buying new products. 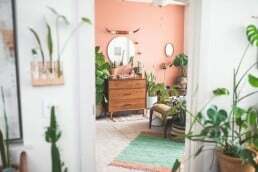 DIY furniture restoration is a thing and chances are you too are dreaming of painting over that old chair and set of drawers to match your vision for the room, am I right? There is nothing minimalist about having a child. Especially when the toys start accumulating. In 2019 we are finally in peace with color, patterns and clutter, and providing our little ones with an exciting opportunity to enjoy the perks of having a creative mess in and around their heads. You don’t spark kids’ imagination in pared down interiors. Never. Color is everywhere and is used to tell stories and provide the mood. All colors of the rainbow are in play (and rainbow itself). We are seeing some shades we haven’t seen in a very long time (some even never before) and they are being used on everything – from walls to fabric. Retro and earthy color schemes are, of course, the most loved. 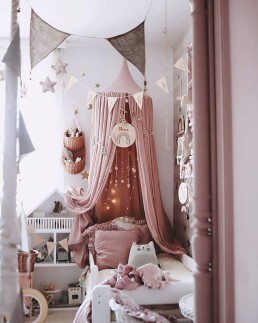 Pink is still the number one color for kids’ room design, and you will spot it in many forms including sweet pastels and more sophisticated earthy shades. Mustard yellow (in all its hues), gray and beige closely follow, but dark blue, green and lavender are also huge. We can expect to see further exploration of brown and red soon too. As the world grows cosmopolitan, shipping prices continue to drop and as big brands become available in concept stores worldwide, talking about regions in terms of design becomes more less useless. 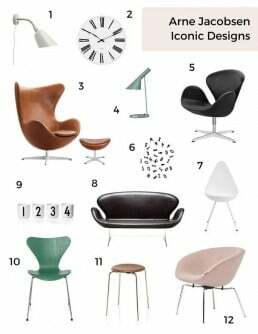 Especially with the Scandinavian interior design that became a global craze over the past couple of years. That’s also true for kids’ interiors. At least its more minimalist take. 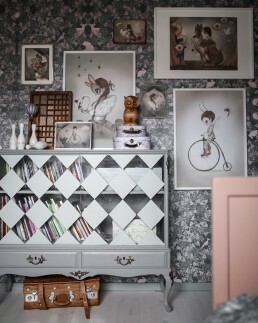 However, Scandinavian design talents who appreciate a maximalist aesthetic are now hitting the spotlights, with Scandinavian fairytale as their biggest inspiration. 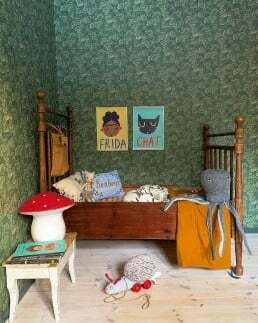 Mrs. Mighetto prints, vintage-inspired floral wallpapers with folk motifs, revamped antique furniture and signature desaturated color schemes are the best of Scandinavian kids’ room design for 2019. 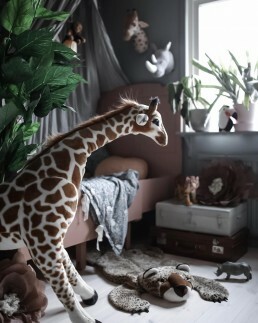 Other than retro florals, you will notice the increasing number of animals in both nurseries and kids’ rooms. 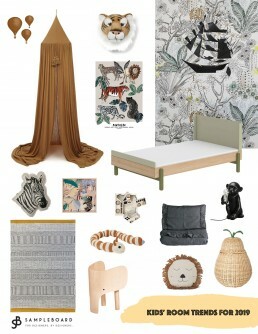 Safari and Jungle are probably the only kid’s room themes we will see this year. Leopards, giraffes, lions and octopuses are the most loved for sure, but there are also mice, bears and birds. Animal prints are also back in a big way! It is not about being perfect. It is about the journey. The adventure. Putting together a room for a child is a labor of love. It takes time and shouldn’t be rushed. 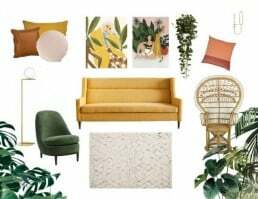 When working with parents who are into the vintage look advise them to source that one piece of furniture they want the room to build upon first, and then talk colors. Even though they are feeling more secure to design the rooms by themselves, the truth is they still need you to guide them through the process and find the products they like. Especially if they are lovers of maximalism and individual solutions. Here are our concepts ideas for 2019 boy’s and girl’s rooms. Now it’s your turn! Create your concept and don’t forget to share it with us for a chance of winning a complimentary membership! 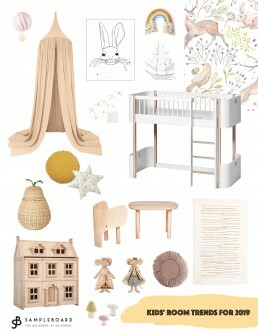 Pull together design trends, color schemes, textures and products to create, store and share beautiful mood boards! 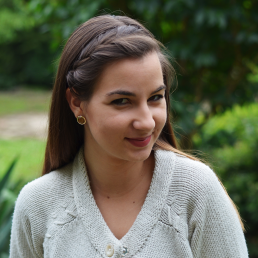 We’re more than just a blog! 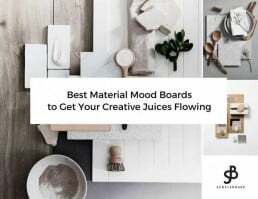 Our online software helps designers create professional mood boards in a matter of minutes. Still cutting and pasting images onto foam board? SampleBoard will bring your business into the 21st century! Subscribe for the latest news, trends & exclusive offers. Plus get 50% OFF your first month SampleBoard membership!